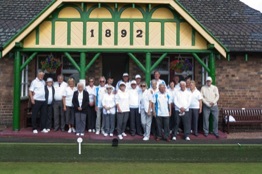 Burntisland Bowling Club held its annual Invitation Triples competition on Sunday 31 July; this year the event was sponsored by Roof Force Ltd. The competition was open to teams from Burntisland and from neighbouring clubs. 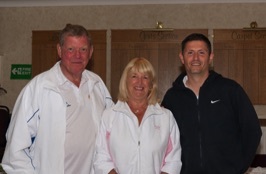 Following a closely fought knockout stage semi-final, Norrie Stenton, Dorothy Whyte and Margaret Farnes went on to meet Ian and Isabel Muir and Raymond Whyte in the final. Ian and Isabel Muir and Raymond Whyte came out winners. The competitors before the games begin. The Winners: Isabel Muir, Ian Muir and Raymond Whyte.